Kristen Stewart and Robert Pattinson star in Breaking Dawn Part 2. The film is out now. Kristen Stewart and Robert Pattinson in Breaking Dawn Part 2. The film arrives in theaters. 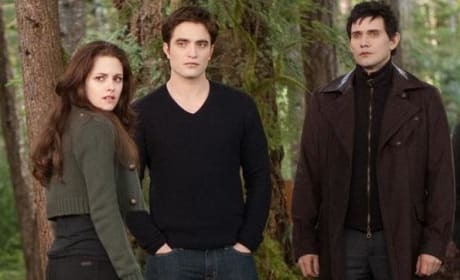 Robert Pattinson, Kristen Stewart and Taylor Lautner in Breaking Dawn Part 2. The final film in the series has arrived. The stars of Breaking Dawn Part 2, Robert Pattinson and Kristen Stewart. The film lands November 16. 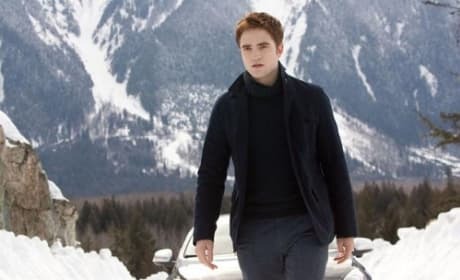 Robert Pattinson seeks help for his family in Breaking Dawn Part 2. 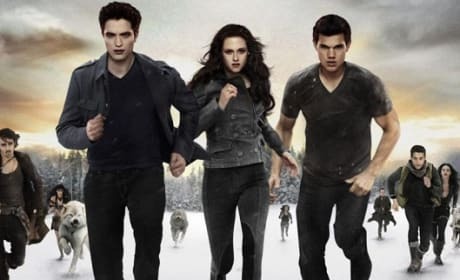 The final Twilight movie lands November 16. Robert Pattinson and Kristen Stewart star in Breaking Dawn Part 2. The final Twilight film lands soon. Robert Pattinson stars in Eclipse. The Twilight Saga's third chapter brings Edward back. Kristen Stewart and Robert Pattinson are Bella and Edward in The Twilight Saga: Breaking Dawn Part 1. Seven new Breaking Dawn stills have premiered. Robert Pattinson and Kristen Stewart celebrate Edward and Bella's honeymoon in Breaking Dawn Part 1. 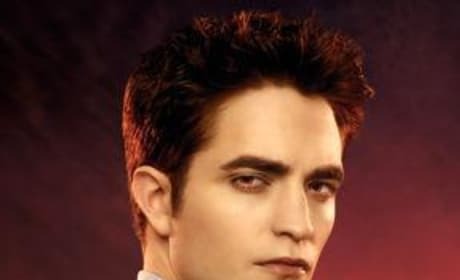 Robert Pattinson stars as Edward Cullen in The Twilight Saga: Breaking Dawn. Permalink: Graduation caps? Private joke. We matriculate a lot. Permalink: I'm not scared of you. You really shouldn't have said that.